former volunteers: what are they doing now? 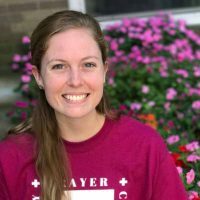 Kateri Golbiw is from Brighton, MI, and attended Aquinas College in Grand Rapids, MI. She studied Theology and English Literature. Kateri served at Immaculate Conception Academy in San Francisco with Campus Ministry and supervising students on their work-study commute. She shared community at the Immaculate Conception Priory with the Dominican Sisters of Mission San Jose. 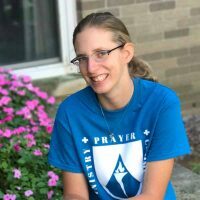 Kateri works as a campus minister at Siena Heights University. Niki Klco is proud to be from West Michigan! 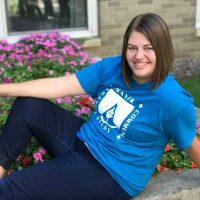 Niki is from a small town and attended Aquinas College, in Grand Rapids, MI. She earned her B.A. in Studio Arts. Niki served two volunteer years. She spent her first year with DVUSA in Redwood City, CA where she worked at St. Francis Center. 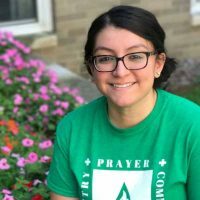 Her second year was at Our Lady of Assumption in the Bronx with the Dominican Sisters of Blauvelt, ministering with women and children experiencing homelessness at Siena House. 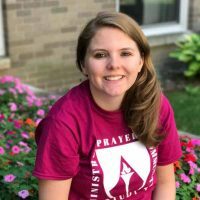 Niki is working towards a double Master’s degree in pastoral ministries and social work at St. Louis University and Aquinas Institute of Theology. Zachary Moeller was born in St. Louis MO and grew up in Akron OH. His family now lives in Carlsbad, CA. He is a graduate of Xavier University with majors in Political Science and International Studies and minors in Spanish and Peace & Justice. 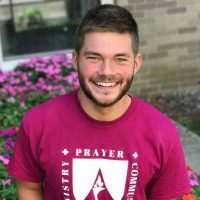 Zach lived at the House of Connections in Chicago with the Dominican Sisters of Sinsinawa. He served at Catholic Charities Chicago Refugee Resettlement. Zach works as a campus minister for the University of San Diego. Henry Moller is from Cincinnati, OH. 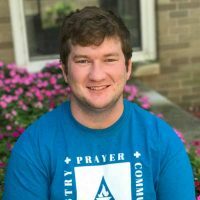 Henry went to Ohio State for undergrad where he studied History and recently attended Xavier University to earn his Masters of Education. Henry lived in the Penn Community in Atlanta with the Dominican Sisters of Sinsinawa. He served at Cristo Rey Atlanta Jesuit high school teaching and coaching basketball. Hank was hired to stay on as staff at Cristo Rey Atlanta to teach Human Geography and Biology. Viviana Garcia-Blanco is from Berwyn, IL. 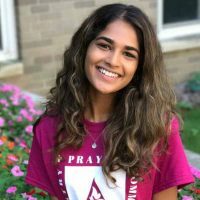 She attended Dominican University in River Forest, IL where she studied in Political Science with a concentration in International Affairs and a minor in Corporate Communications. Viviana lived at Our Lady of Assumption in the Bronx with the Dominican Sisters of Blauvelt. She served with the Dominican Sisters Conference at the United Nations. 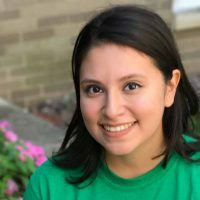 Viviana accepted a full-time internship as a producer at NPR in Chicago. Diana Hernandez is from Chicago, IL. 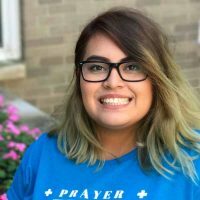 Diana graduated from Dominican University, River Forest, IL where she studied Psychology. Diana lived with the Dominican Sisters of Sinsinsawa in Redwood City, CA. She ministered to youth at the St. Francis Center. Diana stayed in the Bay Area to work with LGBTQ Latinx youth. Gabrielle Smith is from Bear, Delaware. Gabby attended Loyola University Maryland and studied English. 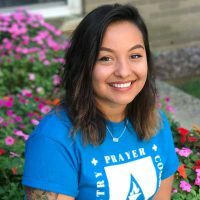 Gabby shared community with Dominican Sisters of Mission San Jose and served at Immaculate Conception Academy in San Francisco with the Guidance Counseling office. Gabby is in graduate school at the University of Delaware pursuing an advanced degree in school psychology. Julia Butts is from Braintree, Massachusetts. She is a graduate of Yale University with a major in Sociology. Julia worked with youth at the St. Francis Center in Redwood City, CA. 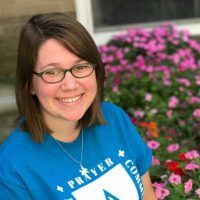 She shared community with the Dominican Sisters of Sinsinawa. Julia now attends law school at UC Berkeley. Sydney Boyer is from Canal Winchester, Ohio. She is a graduate of Xavier University with a major in French. Sydney lived in the St. Hugh of Lincoln community in Huntington Station, NY. Sydney served adult English language learners at OPening Word. 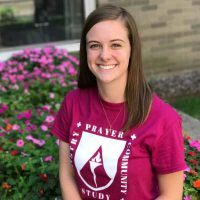 Sydney is earning her Masters of Social Work at Fordham University. Stephanie Zavala Guzman is from Chicago, IL. She attended Dominican University in River Forest where she studied Sociology and Studies of Women and Gender. There are so many things that she enjoyed about her education, but if she had to narrow it down she say: “These majors gave me a new way of seeing the world and how I fit in it. It was because of what I learned that I can fight for social justice and know that I have the necessary power and tools to fight oppressive systems. Stephanie was working with women and children experiencing homelessness at Siena House in the Bronx. She shared in community at our Lady of Assumption with Dominican Sisters of Blauvelt. Stephanie now works as a domestic violence advocate for women and children in the Chicago area. Elizabeth Drake is from Oakton, Virginia. 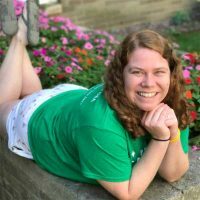 She attended Franklin and Marshall College and majored in Government with a concentration in Latin America, and a minor in Arabic Area Studies. Elizabeth lived at House of Connections in Chicago with the Dominican Sisters of Sinsinawa. She served at Catholic Charities Chicago in Refugee Resettlement. 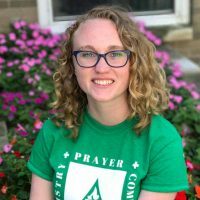 Elizabeth is pursuing her law degree at Washington and Lee University School of Law. Jennifer Doering is from Carlsbad, CA. She attended Dominican University of California where she studied Education. Jennifer lived in community at Immaculate Conception Priory with the Dominican Sisters of Mission San Jose. She served at St. James Elementary School. Jenn is now teaching at a school in Los Altos, CA.